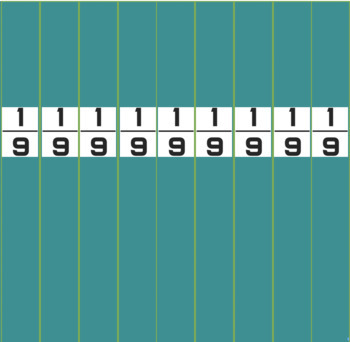 Whole, 1/2, Vertical 1/2s, 1/3, 1/4, Vertical 1/4s, 1/5, 1/6, 1/7, 1/8, 1/9, Vertical 1/9s, 1/10s. 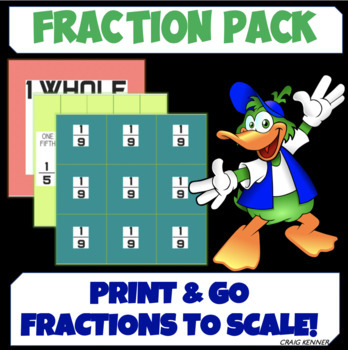 Print, laminate and cut to create reusable fractions that students can touch, compare and develop their understanding of equivalents. Students have trouble imagining various fraction sizes. These hands-on fractions allow the students to physically touch and compare the sizes of different fractions. 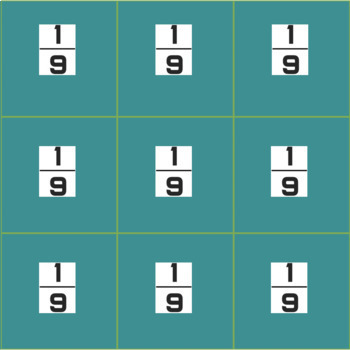 Create a station or allow the students to use a set when solving other fraction challenges. The idea came to me when a student could not understand the pyramid fraction resources as it was too much visually and they found it difficult to manipulate. Essentially, the influx of information when viewing the pyramid of fractions was overwhelming. These fractions allowed all students to clearly see the differences, order and identify equivalents. 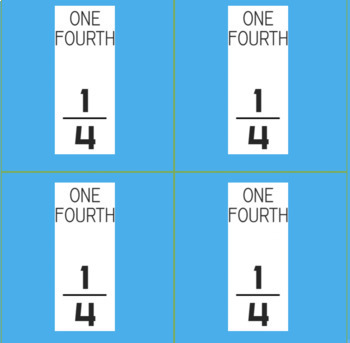 Rectangles are the clearest and most accurate way to demonstrate fractions and these strips will always be useful in your classroom!